One of the most impressive high school gardens in Ventura County is the garden at Rio Mesa High School in Oxnard. The students work in the garden to learn about agriculture and eating healthy. It's all part of the Oxnard Union High School District's "Farm to School" program. The program is designed to provide students with healthy food choices at school and to teach them about how food is grown. 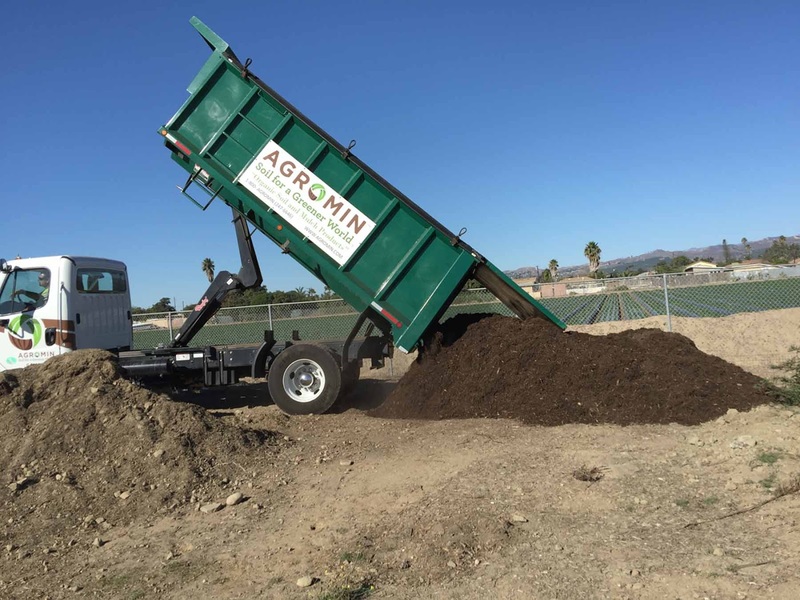 Agromin recently provided two truckloads of mulch to the school. Students will use the mulch to begin a new garden area on a dirt lot within the faculty parking lot. The mulch will also create a natural barrier between invasive weeds and the school's fruit orchard and herb and vegetables beds that produce food for the school's cafeteria.